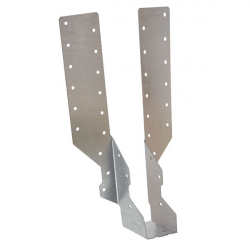 Tradefix Direct offers a wide range of types and sizes of hangers helping you get the perfect fit for your building project! Use the filter to the left to help narrow down your search. 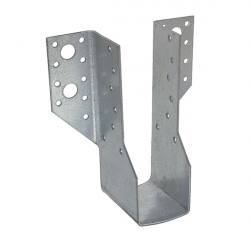 Which Joist Hangers Are Right For You? You know you need to buy them. But with so many options to choose from, which is the right one for you? Here’s our guide..
Load is always the first consideration when buying hangers and, in addition to determining size, it may also determine the type. 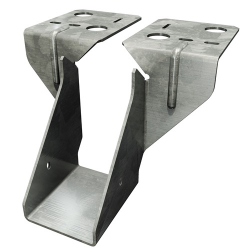 Our Simpson face fix hangers, for example, will typically support a lesser down load than a top-flange mount, but they won’t demand the same sort of access requirements that a top-flange hanger will. Our face fix hangers will also typically have higher uplift loads and you can install them once the joist is in place. Bear in mind also that the load tolerances for each will vary depending on the materials being used. The plans may call for innovative angles, sloping roofs and adventurous flying buttresses, but when you’re the one bringing the plans to life, you’ll welcome a little help. 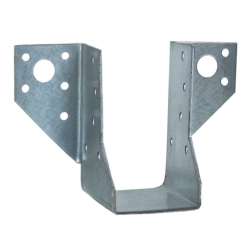 That’s where our skewed joist, sloped and mini hangers come in, giving you the construction freedom to escape the traditional right angle. Some of our timber solutions are available with a set slope of 45°. Others are adjustable, enabling you to achieve custom angles as required. 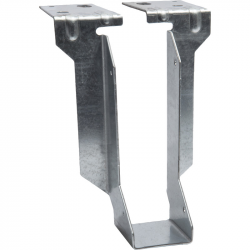 For additional support, our ‘Strong Tie’ adjustable Simpson hangers provide maximum support for wood, composite timber and even concrete and steel. 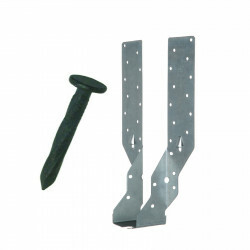 Tradefix Direct supplies sloped and skewed joist hangers across the UK, at competitive trade prices. You’ll need to use different types depending on the materials you are connecting. 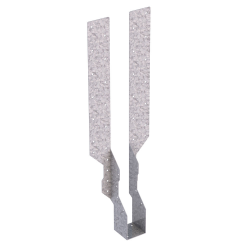 Timber to timber ones will differ from timber to masonry connectors in a range of ways (not least the fact that they’re typically designed for heavier loads). 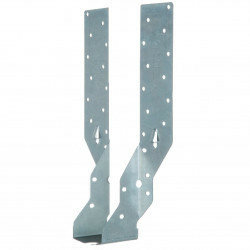 Most notably, masonry hangers will typically have wide top flanges to increase the contact surface area. 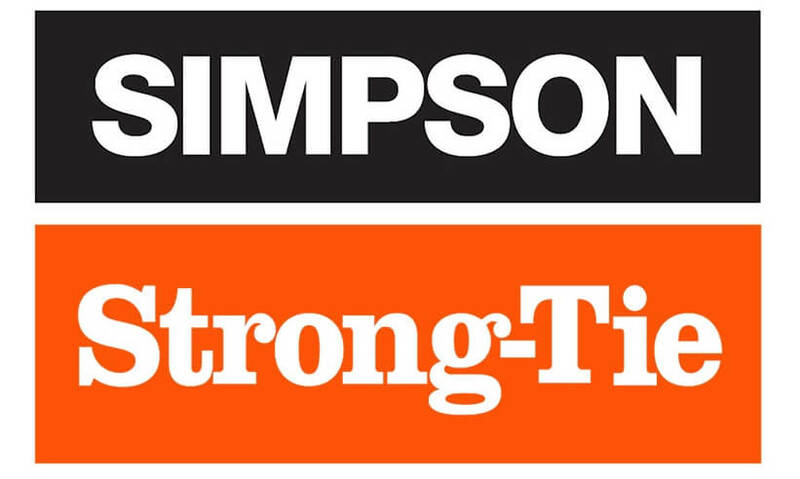 Some, such as our Simpson Strong Tie, feature embossed top flanges to increase their ability to key to mortar. In contrast, our galvanised mini products are ideal for lighter applications including timber trim, rectangular section ceiling joists, and even decking. Face fix for masonry? Timber to timber connectors? When you’re looking for top quality, unbeatable prices and leading brands – including products by Simpson, BPC, Parkes, and Sabrefix – find all the help and advice you need by calling 0161 794 1783. There are only 427 of this item in stock. There are only 75 of this item in stock. There are only 206 of this item in stock. There are only 141 of this item in stock. There are only 195 of this item in stock. There are only 240 of this item in stock. There are only 204 of this item in stock. There are only 126 of this item in stock. There are only 115 of this item in stock.